High levels of violence, drug trafficking and other criminal activities (assassinations, extrajudicial killings, disappearances, rapes, kidnappings.) in combination with food insecurity have displaced many inside and across El Salvador’s borders. ? 272,188 applications for asylum were made between 2007 and 2017. ? 59,400 applications alone were submitted in 2017, a 38.5% increase from the previous year. ? In October 2018, between 7,000 and 10,000 migrants left Honduras, El Salvador, and Guatemala to form two large caravans and multiple smaller groups travelling by foot towards the United States border. Another smaller caravan headed north between 14 and 30 January 2019. Migrants are on the move to escape violence and persecution, improve their economic situation, or reunite with their families. Around 12,600 migrants have crossed borders or are now residing irregularly in Guatemala or Mexico. ? 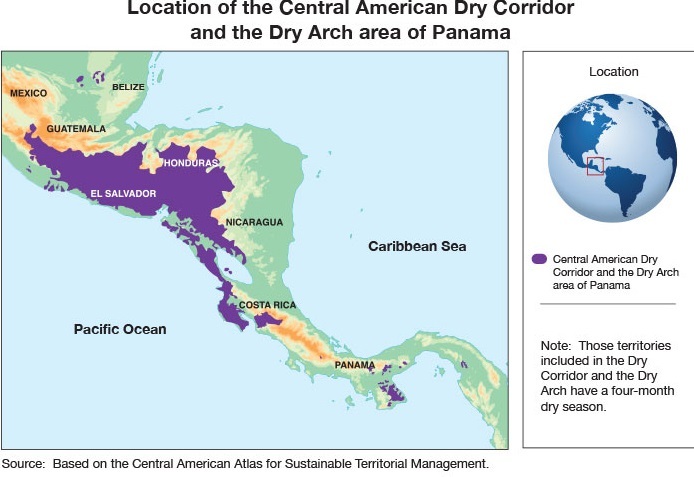 El Salvador is part of Central America’s ‘Dry Corridor’, and experiences irregular rainfall and prolonged periods of drought, leading to major crop losses and food insecurity. An estimated 2.2 million people live in poverty and climate vulnerability, and high levels of food insecurity and malnutrition are observed as a result. ? Food Security and livelihoods: The arrival of an El Niño episode in the beginning of 2019 leading to below average rains will have an impact on food availability, in particular for impoverished rural communities relying on agricultural livelihoods. ? Limited information from humanitarian actors on WASH, education, and food security. Updates on the drought situation in the eastern ‘dry corridor’ are rare. Limited information on the number of displaced, their location and their needs. In 2015, 324,000 people were displaced because of violence.? It is unclear whether these people migrated or displaced internally. 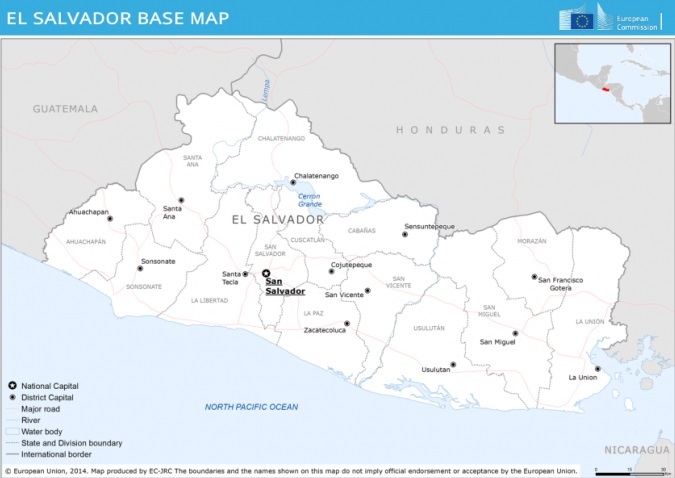 Numbers of people fleeing El Salvador are not available: they are grouped into the population fleeing the Northern Triangle (El Salvador, Nicaragua, Guatemala). El Salvador is earthquake prone. Two large earthquakes happened in 2001 and 2005. The government was more prepared for an earthquake in 2005. However, while some larger cities have incorporated disaster plans, poor communities that live in more earthquake-prone areas have not. Both earthquakes affected the poorest people. In 2001 and 2005, the international community provided most response, rather than national or regional initiatives.? Mano Dura (‘iron fist’) policies are used by the government to reduce crime and combat gang violence. These policies can include deploying more special response teams to combat crime, heavy sentencing, and being tough on crime overall. However, Mano Dura policies have not been proven effective.? While gangs are responsible for violence in El Salvador, crimes from law enforcement against alleged gang members increase protection concerns.? Protection concerns are also raised for children, who are recruited into gangs at a young age, and are also targeted by the government through Mano Dura policies. ?